No need to broadcast that you've got cutting edge optics on your face, keep things low key with the Smith Lowdown XL Sunglasses. The Matte Black Evolve frames are a classically minimal design, held in place by grippy Megol nose pads. But the real surprise is the ChromaPop™ technology built into the Carbonic Lenses. This technology cuts through certain wavelengths of light that are shared between colors, giving you crisper definition and brighter colors overall. Product has a very stylish look for almost all occasions! Only problem with them in my opinion is not very well vented from face i.e. from breath and facial oil. Noticed half to clean them all the time near the upper inner nose part of the glasses. I have the Polarized lens work well when fishing and for glare. The lense seem to be pretty durable haven't scratched them yet and has been over a year. I've done many roofing jobs with these glasses on, so they've had their fair share of general wear and tear and nothing broke. I also like the style of the Lowdowns' they are a good looking, stylish pair of glasses. The styling was good, and the glasses were lightweight. The chromapop polarized lenses were as always, awesome but the frame was incredibly easy to break. I had no intention of damaging the glasses, however I did, admittedly, leave them in a bad spot sitting in the seat of my car. When I re-entered the vehicle I climbed in and put some of my weight on to the seat before quickly jumping up realizing that I was sitting on my brand new sun glasses. The damage was done, both screws had sheared out of their fitting and the glasses were irreversibly broken. It seemed to me that the material choice for the joint was incredibly weak. I have done the exact same thing with other glasses and never had a problem with them breaking. Please reconsider the material choice for the joint of these glasses. They seem to be incredibly frail and I can't in good conscious recommend them to anyone. I will continue to buy Smith products, I am a big fan and a loyal customer but I will avoid anything like this material in the future. Great oversized coverage, love the chroma pop lenses! The frames are super light and don't slip when running. Great fit, big lenses, love the extra pizazz of the zebra stripes inside the frame. The red mirror lets people know that I'm not to be trifled with. I love these sunglasses more than any shades I've ever tried. As a tall ship captain working constantly on the water, I rely heavily on my sight and these shades are not too dark and the chromopop lenses are so crisp. They feel like a prescription lens for seeing small objects at long distances. My opinion couldn't be higher for the Chromopop lens and I make sure to tell everyone I work with; they also comment on the crisp image the lens creates. Finally, the Lowdown XL make me look good! These Lowdown XL ChromaPop sunglasses have been awesome since I purchased them. They fit great and the lenses have been terrific on both overcast and sunny days here in the NW. This is my second pair of Smith Lowdown XL's and I just had to have the Bronze polarized Chromapop mirrors. They have amazing eye coverage and the clarity is just ridiculous. Just like my salty crew Smith's, they look sweet and only buy polarized lenses but with the Chromapop added on...it's an added bonus! Can't go wrong with Smith and the lifetime warranty either, keep up the great work guys. Brown tortoise + brown polarized chromapop lenses. Love the style, love the fit. However, both of my lenses have these weird streaks. At first I thought that I had scratched the lenses (despite handling them very delicately) but when I took a closer look the "scratches" were along the sides of both lenses (3-4 per side), and they run PERFECTLY straight across and parallel to each other. They are noticeably in my field of view when I am wearing them. Not sure if this is a defect, or if the ChromaPop lenses are more delicate than others, but I'm not sure I could create scratches like this even if I tried. Still love SMITH and will always be brand loyal to them. Would recommend these glasses but maybe without ChromaPop (if that is in fact the issue). I needed a pair of sunglasses for hiking/being outdoors. I currently own two Maui Jim's polarized - one pair for fashion (but not great for outdoor pursuits because they are a tad heavy), and one super light rimless pair for running/climbing (but don't love how they look on my face - pretty masculine and not in a cool contrast kind of way) ... sooo it was time to find a new pair. I also have previously owned Oakley's polarized and Spy's, but both brands have failed me and the lenses eroded after a short time (granted I did use to live by the ocean). I decided to try these Low Down ChromaPop lenses. I am a polarized snob ever since my first pair of Oakley's eons ago. So I decided on the Low Down matte black / bronze mirror polarized. Super sick lenses and the whole look is awesome. I have always wanted matte frames, and mirrored lenses. Was eyeing up the red sun mirror lenses but they don't come polarized. Few things I love about these glasses: The sticky nose pads. The fact that they are super light weight and I barely feel them when on my face. The fact that they don't hurt my ears and weigh down when I wear a trucker hat with them (and even a beanie on top of the hat) - this was the biggest problem with all my previous pairs of different brands. They all would weigh down on my ears and nose when wearing them with a hat. Not these LowDowns!! Super stoked about that. And the simple frame in matte looks really nice. And of course the mirrored lenses. The polarized is something I always get now, not sure how ChromaPop looks without polarized, but together, at least in my experience, the colors are crisp and it's like looking through an Instagram filter all the time ha! I always use polarized so I'm used to good quality lenses. Can't say whether or not ChromaPop polarized is better/less than say Maui Jim polarized lenses. But I'm stoked with them regardless. Especially the fit. Oh and they sit high up which is awesome for my asian low bridge. They don't fall down on my nose at all. I was gunning for LowDown XL because I love big glasses but the guys at the shop said uh no, those look ridiculous on you, go for regular LowDown. So that helped the decision making process. I would like to purchase LowDown2 in the future I think. But I'll stay away from XL and Slim since I already know the regular LowDown is the best fit for me. The ONLY thing I wish mine had were the auto-locking hinges. Oh and the case is rad and roomy. Love the square look and it's luxury to have so much room in my case, compared to the hard case my Maui Jim's came with (way too snug and always a puzzle piece trying to get them in just right to close the case). THANKS SMITH. You have a lifetime fan now and I will but purchasing more Low Downs in the future. I have a large head and these glasses fit great. Polarized lense is extremely clear in both bright and low-light conditions. Love these. Amazing optics and construction. They pinch my ears a bit but think this will go away with time. Keeps the sun out of my eyes. They fit on my face. This is my third pair of Lowdown's and my second with the ChromaPop lenses. Hands down the ChromaPop lens is the most impressive visual experience I've had with sunglasses. It is amazing to see the difference in clarity and color with these lenses. In daylight without sunglasses colors can appear washed out, but with ChromaPop colors are brighter and more rich, glare is nearly non-existent. They are truly the best glasses I've owned. Great style and feel. Lines on the edges of the lenses? These shades are great. Perfect for my big head. Chromopop is a sight to behold. The only knock are some lines that are faintly visible around the edges. Not a deal breaker but a little distracting. You put on a pair of chromo pops and your eyes relax! 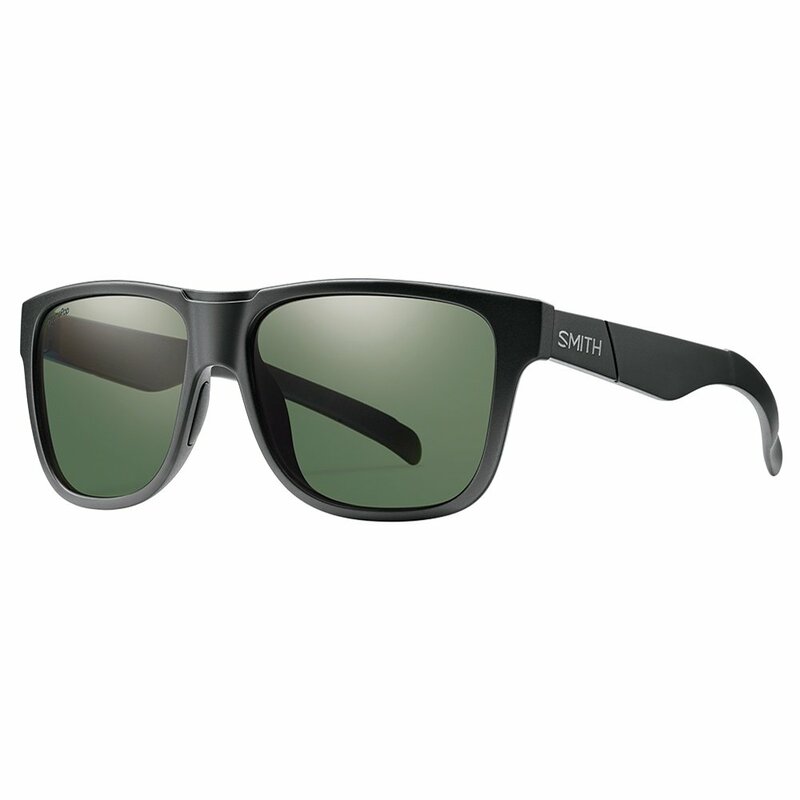 Ive had many pairs of high end sunglasses but nothing compares to the fit and comfort of Smith Optics. The Chromopop lens is the clearest Ive ever looked through. I cant wait to order some ski goggles with the same lens. Great pair of glasses. Love the matte frame and the lenses are seemingly better than my other name brand glasses. I love these glasses. The view from the lens is very clear and frame is light weight. You don't even notice when the glasses are on. The product is not worth the money! First time buying SMITH glasses. Not impressed. The frames are super stiff and feels like their going to snap. Also, the lenses are very hard to keep clean. I've bought these glasses 3 times now. After losing them, both times I knew no other pair of glasses would live up to how great these are. They're lightweight, but don't feel cheap. The fit and simple look is really versatile. My only caution would be the brown tortoises looks more solid black in person, but I don't mind it.